PALO ALTO, California and KOCHI, India, April 3, 2019 /PRNewswire/ -- SurveySparrow, a cloud-based customer experience platform has raised $1.4 million in seed funding from Prime Venture Partners. SurveySparrow allows users to create and share mobile-first, conversational surveys which are highly engaging and user friendly. The SaaS startup will use the fresh funds in product development and build it into a continuous improvement platform. Since its launch, SurveySparrow has conducted over 20000 surveys so far and over 8000 customers in 108 countries including DiDi, PaySafe, FedEx, Deloitte Digital, SAP, and Siemens. The startup is on target to clock more than 20,000 customers by the end of 2019. 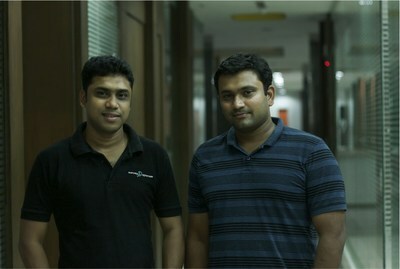 Based in the US, SurveySparrow was founded in October 2017 by Freshworks veteran Shihab Muhammed and ex-Zoho employee Subin Sebastian with offices in Kochi & Palo Alto. The founders believe that customer experience is a huge market with 'aging' giants and a big global opportunity. The global online survey software market is valued at US$4.065 billion and is expected to grow at a CAGR of 11.25% to reach a market size of US$6.929 billion by the year 2022. The startup plans to take on its competitors with its unique spin on UI, moving surveys away from antiquated forms to conversations. The company is planning to hire extensively across engineering, product development, marketing, and inside sales in the coming months. SurveySparrow is the world's first survey software to offer both a conversational and form-like output, increasing the survey completion rate by 40%. With Conversational User Interface (CUI), SurveySparrow let users create and share highly engaging, mobile-first surveys that offer a chat-like experience. It has a built-in automation that allows organizations to manage customer experience surveys, employee pulse surveys and market feedback surveys. It serves as a platform for organizations to arrive at meaningful business decisions based on the feedback received. SurveySparrow provides a continuous improvement platform, the first of its kind to close the feedback loop instead of collecting feedback and then forgetting about it. The company also provides customers with best-in-class experience with offline feedback collection and NPS survey solutions. "The idea for SurveySparrow sprang from my own habit of putting off surveys because the unoriginal survey questionnaire failed to engage me. We wanted to create a better platform for surveys that is more engaging with higher survey completion rates. We are bullish on customer experience becoming a crucial decision point in choosing the right service, with the world moves towards a subscription service economy. We believe customer experience will be the biggest factor influencing buying decisions and we want to offer the best-in-class experience at a fraction of what it would cost to our global counterparts." "Customer experience software is stuck in the 2000's era. Consumers have moved to smartphones and conversational interfaces, especially in the last few years. SurveySparrow has built a mobile-first, conversational survey platform. Whether its consumers, employees or marketers, we believe a highly engaging survey platform will be the cornerstone to measure and improve the brand experience. It is backed by an outstanding team with passionate founders who have deep experience in building and scaling large SaaS companies."